Shared traditions between hemispheres and across millennium demonstrate the commonality of man’s experiences. Some of the artistic traditions can be experienced through the interest in flora and fauna, real and imagined. Within these subjects, cultures developed imagery independent of each other yet, at times, with similar meanings; the dragon in the east and gryphon in the west, both symbols of power, exemplify such. Additionally, exchanged ideas facilitated through trade brought aspects of artistic traditions to other lands and back again, as demonstrated by Asian export porcelain. Fabricated in the east using native techniques these objects were decorated with imagery designed for consumption in the west, and never intended for use by the cultures responsible for production. Similarly, techniques, styles and imagery developed in the east were adapted by the west to fit within its cultural confines. From cave paintings to today, man has turned to the animal kingdom for artistic inspiration. Globally, cultures employed animals as an actual object, applied elements or decorative schemes. These creatures provided utilitarian or spiritual service in both this life and the next. Mythical beasts based on aspects of animals, prized and feared, provide a cultural commonality. 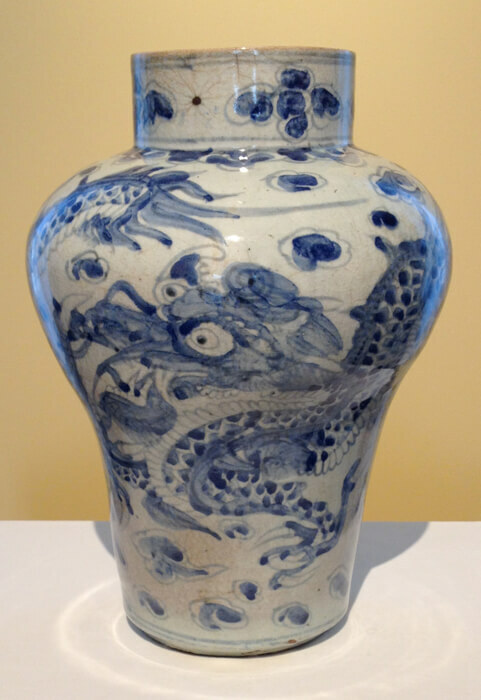 In the east, dragons appear throughout artistic expression whether forming handles for an urn or coiling around a jar. 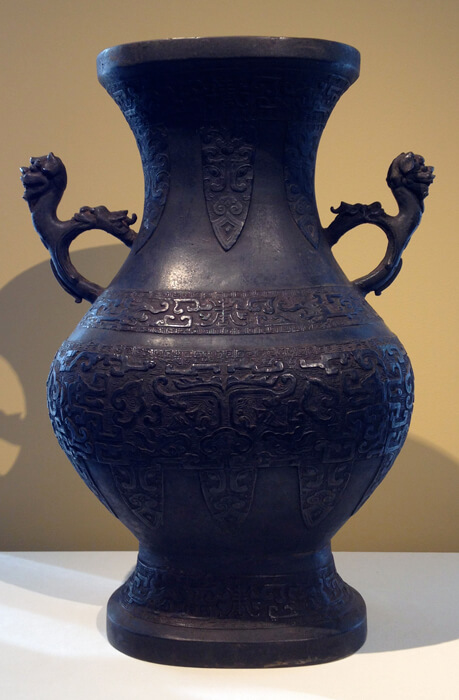 Similarly, in the western tradition, gryphons function as decoration for a compote or an American silver pitcher. Still, at times, prized creatures serve as a vessel such as a peacock for an incense burner. Beginning in the 17th century, Europeans began to depict the bounty of nature creating elaborate botanical compositions. These works could also include creatures from land and sea invoking the ideas of bountiful feasts. Still life arrangements went beyond the purely decorative often to include particular fruit, flower or objects to convey a specific meaning. Further, artists explored death and memorial through the inclusion of skulls and other objects referencing the passing of life. Traditions such as tompe l’oile, meaning to fool the eye, continue with popularity in 19th century America depicting precious object and dead game. Ritschel worked in the American tradition of Tonalism, an aspect of Impressionism, which uses tonal variations of color to form a composition. 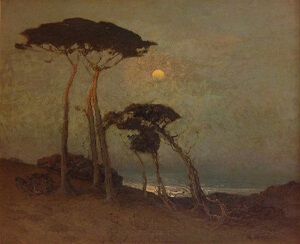 He studied in New York and Europe, yet settled in California, where he drew inspiration from the cypress-covered cliffs. Evident in this work is Ritschel’s influence from eastern art revealed through the square-shaped canvas and foreshortening of the composition, creating an allusion of two instead of three dimensions, an approach evident in the Asian ceramics.